Bring Some Legendary Style Into Your Home | Valet. Take a page from this iconic landmark's design playbook. Henry Kissinger said "it's an institution, not a restaurant." Jackie Onassis called it "the cathedral." 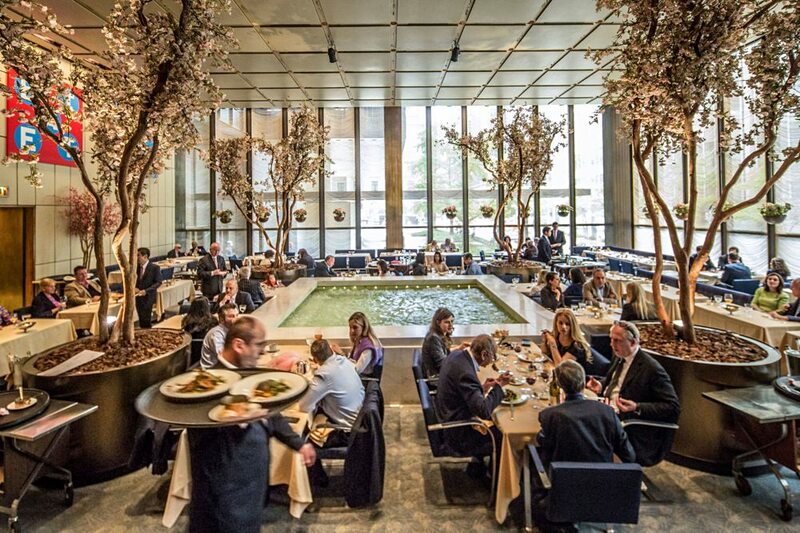 To say that New York's Four Seasons restaurant was iconic is almost an understatement. Designed by Philip Johnson for Mies van der Rohe's distinctive glass and bronze Seagram building on Park Avenue in Manhattan, the Four Seasons first opened in 1959 and quickly became the place you sealed deals over a few martinis and remained the home of the power lunch until it closed on July 16. But it's not dead—only on hiatus in order to open in a newly designed location a few blocks away next year. 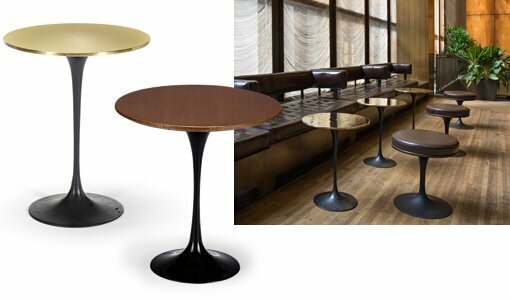 And while the interior space is landmarked (the signature bar and rippling chain curtains will all remain intact), the specially designed furniture, tableware and objects will be offered at auction tomorrow. Featuring approximately 500 lots, the sale will include works by Mies van der Rohe and Hans Wegner as well as custom designs by Philip Johnson and special-ordered Knoll furniture. They're the kind of eternally stylish pieces that always look right in a man's home. Like the Barcelona chairs and ottomans that have graced the travertine-clad lobby from day one. Even if you can't bid on these, you can still bring the cool midcentury style into your place with a few well-chosen pieces. Of course, brand new, a genuine Knoll Barcelona chair will set you back $5,592. But we've found a pretty handsome reproduction if you don't have that kind of scratch. After all, just because you don't live like a power luncher doesn't mean your home can't look like you do. Before Marilyn Monroe sang "Happy Birthday, Mr. President" at Madison Square Garden, John F. Kennedy first stopped in at The Four Seasons for a turkey sandwich and a beer.